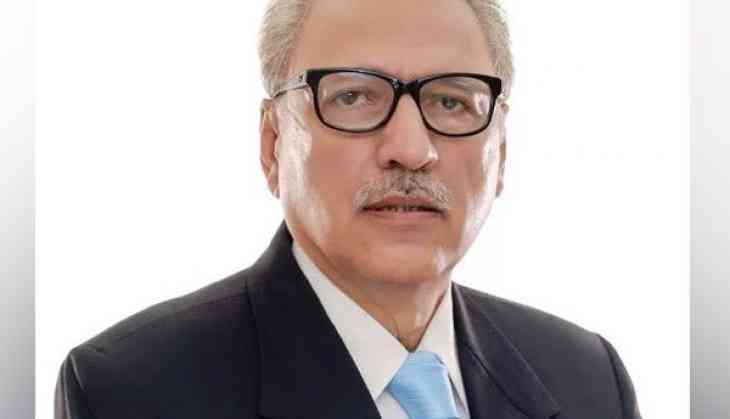 Senior Pakistan Tehreek-e-Insaf (PTI) leader Arif Alvi was elected as the 13th President of Pakistan. But not many know that Alvi shares an interesting connection with India. According to his biography published in the PTI website, Alvi's father Dr. Habib ur Rehman Elahi Alvi was a dentist to India's first Prime Minister Jawaharlal Nehru. Alvi's family has claimed that they have letters from Nehru to Dr. Alvi. Alvi's father, who practiced dentistry in India, had migrated to Pakistan in 1947 and resumed dental practice in Saddar area of Karachi, according to PTI. The 69-year-old who is considered to be Pakistan Prime Minister Imran Khan's close aide and a former dentist himself, defeated Pakistan People's Party (PPP) candidate Aitzaz Ahsan and Pakistan Muslim League-Nawaz (PML-N) nominee Maulana Fazlur Rehman in a triangular contest to become the new president of the country. Alvi acquired his dental degree BDS (Dentistry) from de Montmorency College of Dentistry, an affiliate of the University of Punjab. He also obtained a Master of Science degree in Prosthodontics from the University of Michigan, Ann Arbor in 1975, the website further said. Alvi later completed his Master of Science in Orthodontics at the University of the Pacific, San Francisco, in 1984. He is one of the founder members of the PTI and served as the secretary-general of the party from 2006 till 2013, the PTI added. In the 2013 elections, the dentist-turned-politician was elected as the Member of the National Assembly of Pakistan (MNA) from the NA-250 Karachi constituency. He was re-elected in the July 25 polls. Alvi is a trustee of various charitable organisations and is involved in many philanthropic movements. He was made a Trustee of the trust established by Shirinbai Jinnah, the sister of Pakistan's founder Muhammad Ali Jinnah, where she "gifted all her worldly belongings including the Mohatta Palace in Karachi." Alvi is now the Managing Trustee of Jinnah's trust. Certain Pakistani presidents have their ancestry with India. Outgoing president Mamnoon Hussain's family hailed from Agra in Uttar Pradesh and migrated to Pakistan after the Partition. Also, Pervez Musharraf's parents were from Delhi.